Ergonomic and revolutionary. 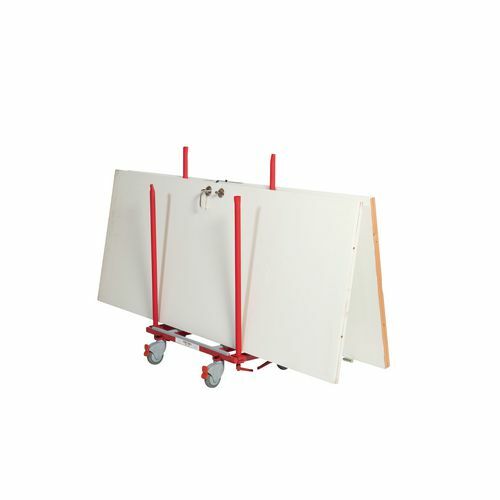 these trolleys make it possible for one person alone to do the job of two, and move heavy and bulky furniture and other goods easily and safely. 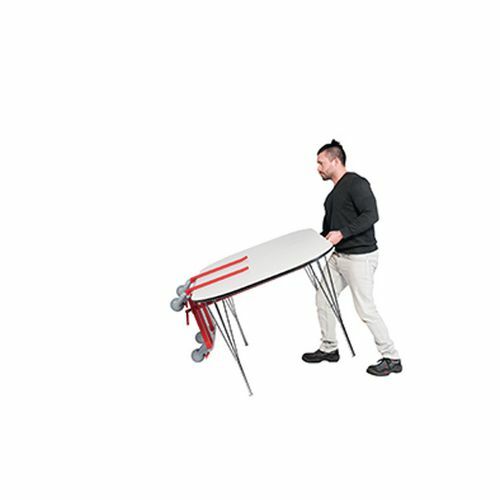 Safely moves all types of furniture including desks, tables, sofas, whiteboards and other bulky furniture therefore essential for offices, factories, removals firms, councils, facilities management companies, furniture manufacturers, hotels etc. 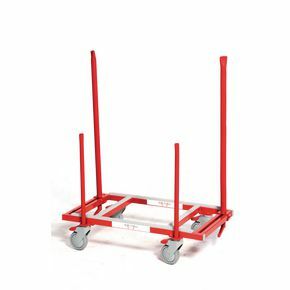 The trolley is simply mounted upon the item you wish to transport, which is then tipped through 90° onto its side for easy movement and access. 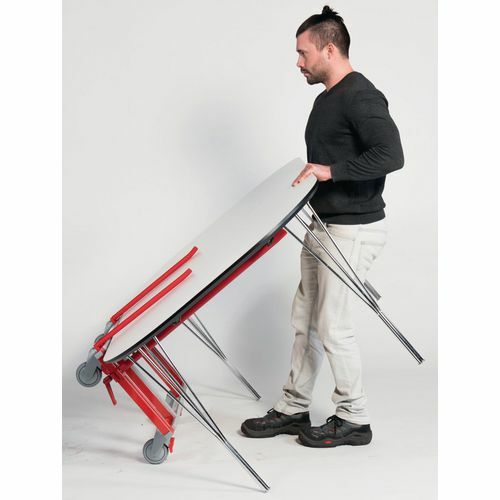 No heavy lifting, less risk of injuries and much more cost effective way of working. Fitted with four adjustable support posts that are fitted with protective rubber strips to safeguard the load, can be removed to use trolley as a flat-bed trolley. Tubular aluminium construction with a hardwearing red powder coated finish. On four x 100mm diameter rubber tyred swivel castors, 2 braked.